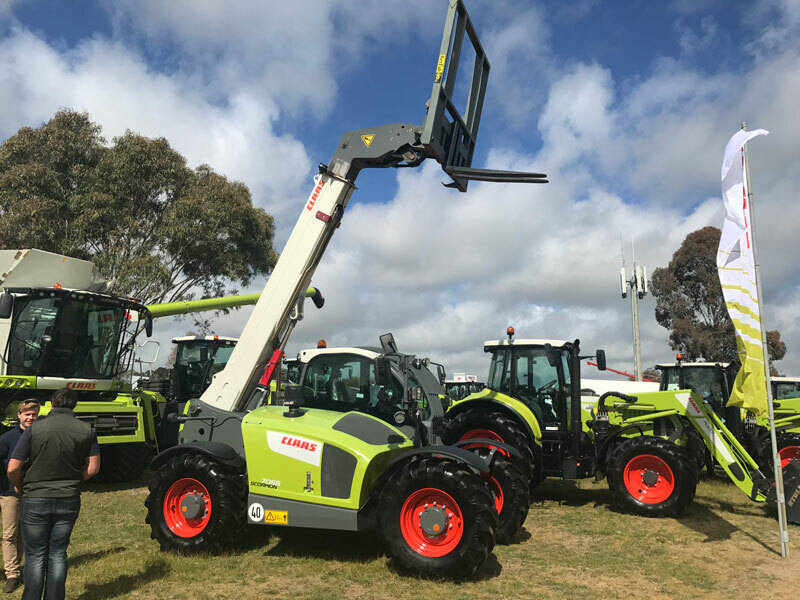 Among the tractors, harvesters and other farm equipment on display at Claas’s Henty Machinery Field Days stand last week was the classic Scorpion 7055 telehandler. Able to lift 5.5 tonnes to a height of 7m, the Claas 7055 Scorpion is a capable machine suited to material handling applications. The Scorpion series telehandlers have been engineered to improve performance and fuel efficiency. The 7055 has a Tier 4 interim 4.1-litre four-cylinder 115kW Deutz diesel under the hood, which Claas says offers greater torque over previous models. 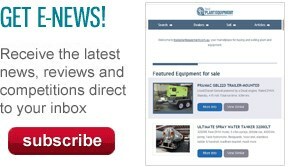 The 7055 Scorpion features modern load-sensing hydraulics with an output of around 187 lpm. Changing attachments on the 7055 is straightforward and safe, thanks to the telehandler’s decompression feature that allows the operator to release any pressure stored in the telescopic arm before unhitching the attachment. Although the load-sensing hydraulics are designed to deliver optimum hydraulic flow to the attachment, the operator can manually adjust individual flow rates for specific attachments or conditions. The Scorpion 7055 also features Claas’s proprietary Varipower drive system. This uses a hydrostatic drive and wide-angle swash-plate technology that allows the machine to accelerate smoothly to the machine’s top speed of around 40km/h. Night construction work is safe and easy in the Scorpion 7055 with an array of nine working lights on the machine placed on the cab, at the rear of the machine, on the right-hand side and on the boom arm to ensure the entire working area is illuminated. Claas says the Scorpion 7055 cab has been ergonomically designed with the joystick controls integrated into the armrest, meaning they move with the operator. The cab also has a fully adjustable air-suspension seat. Operator fatigue is further reduced by features such as the automatic bucket return, which returns the bucket to base position with one button press.